This afternoon I had someone ask me: “So WHAT do you do?” This person was no stranger. He knows very well that I promote natural cosmetics and skin care. He is familiar with some of my company’s slogans too. The simplest one is: The Way You Are. The less-shorter one is: We promote health and beauty products for the enlightened and eco-conscious consumer. One of the more detailed ones are: We at Earth Born Beauty pride ourselves in the excellence of quality of the natural, certified organic and cruelty-free beauty care products we market. I were a little surprised at his question but also pleased. Very simply, I am passionate about not only preserving good health and beauty, but also our planet. I am passionate about educating and informing myself and others who choose not to live selfish lives. Those who understand that to enable future generations to survive and flourish, we need to protect and preserve our planet today. I am passionate about truth. It is important for cosmetic manufacturers to be honest about their product ingredients and also how it is attained and how it affects not only the consumers but our environment. Natrue.org are one of the few companies who do what they mean and mean what they do. WE BELIEVE IN THE TRUTH OF NATURE AND THE NATURE OF TRUTH. These words stir up something within me that is almost impossible for me to express in words myself! These words are my very passion! Dr. Hauschka Skin Care bears the natrue.org seal. You will start with a personal consultation either online or in person. It would be best to meet in person and within a few weeks I shall be available at my kiosk at the sustainable mall at 210 on Long, at the corner of Long street and Bloem street, Cape Town. Meanwhile, you may browse my virtual store at http://www.earthbornbeauty.net and my business page on Facebook at http://www.facebook.com/earthbornbeauty for more information on the products we promote. You may also contact me on my mobile at 071 2288 566 to set up a free consulation. If you wish to try Dr. Hauschka before committing to full size products, we have put together a beautiful trial kit in a reusable container. The trial kit is available in Oily – Impure and Normal – Dry. These kits are currently on promotion so be sure to visit our virtual store and facebook page for further details. 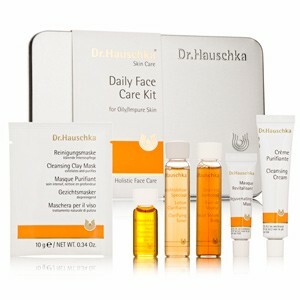 Dr. Hauschka Normal – Dry Facial Kit. This trial kit should last for 7 – 10 days. The kit contains a (1) CLEANSING MILK to remove make-up and as a usual cleanser for very sensitive skin types that can’t handle any type of stimulation. Remember that Dr. Hauschka does not encourage manual exfoliation and friction as it can easily irritate any skin condition. Dr. Hauschka Skin Care works WITH the skin and not ON the skin. (2) CLEANSING CREAM should be used twice daily – Once in the morning followed by the (3) FACIAL TONER and in the evenings it is used after Milk Cleanser has been used to remove make-up. Apply toner with pressing and tapping motions with the palm of the hand. Do not feed a cotton pad. Follow this up with your choice of moisturiser of which there are 3 in this kit. (4) ROSE DAY CREAM for daily moisturising when your skin needs to be calmed and comforted. (5) QUINCE DAY CREAM for when your skin needs a little extra moisturising in drier climates and when being affected by hormonal fluctuations. (6) MOISTURISING DAY CREAM which is a general stimulating moisturiser for all conditions especially dull, sallow conditions and can be mixed with other products. What to apply at night? Cleanse and tone. That is all your skin needs! I were just as surprised thinking that my skin could never survive without a night cream. Well, we want to promote and encourage the skin’s natural regeneration. Applying creams at night will do nothing more than make the skin lazy!! We want to wake it up instead. Yes, even when nodding off because your skin never sleeps. 😉 I’ve been through it; and it has proven itself to be quite true. More about that soon. The Normal – Dry Skin Care Kit is now on promotion for R 236.72 while stock lasts. 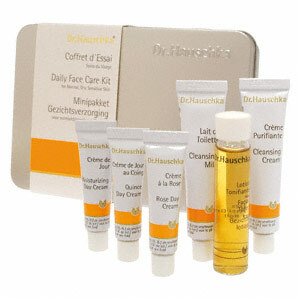 Dr. Hauschka Oily – Impure Face Care Kit. Finally a skin care regime that will not dry the skin out. Yes, you’re oily, but drying it out will simply exacerbate the problem. What you need is balance and calm. So instead of trying to vacuum all the oils (which will make it believe that there is a lack of it and produce even more to your distress and confusion), comfort it with oil and you’ll be surprised at how well your skin takes to this idea that it starts to produce less oil, which will mean less clogged pores and eventually less breakouts! Wouldn’t that be heaven? The Oily – Impure Kit contains (1) CREAM CLEANSER which binds to impurities and lifts and renews without having to use friction. In fact, rubbing is not at all advised. I will explain this product in detail when you purchase it. 🙂 (2) CLARIFYING TONER should be applied with the palms of the hands and not a cotton pad. (3) FACIAL STEAM BATH is a deep cleansing steaming treatment to assist in deep cleansing the skin and preparing it for treatment products. (4) CLEANSING CLAY MASK can be used after a Facial Steam Bath to further assist in deep cleansing. The clay mask is also a friction-free exfoliant suitable for all skin types. Oily skins should use it 2 – 3 times per week and less oily skins once per week. (5) REJUVENATING MASK is a multi-purpose mask to stimulate and encourage healing of scar tissue and awakening of the skin of all conditions. It is ideal for stressed and tired skin and softening of large pored skin. (6) NORMALISING DAY OIL regulates oil production, reduces inflammation and the formation of blackheads. It moisturisers, heals and comforts troubled skin. Did you say no night cream? You must be kidding me, right? No, I’m not. We are going to work with your skin. Never on it or even against it. Yes, slapping on creams at night will not only make your skin lazy, it will also exhaust it. At night the skin regenerates itself. Can you imagine it having to deal with fatty creams and potions when all it wants to do is take a deep breath and restore what has been lost during your busy day? Fighting off all kinds of unwanted guests, protecting you from external factors all day long and then you hop in to bed with just another job – moving around creams when it’s energies could be spent on better and far more important things such as repairing itself? RHYTHMIC NIGHT CONDITIONER is your answer. It is an intensive night treatment which assists the skin in returning to it’s normal and healthy rhythms. What is rhythms? Our skin has it’s own rhythm. In fact life itself is a process of rhythms. The skin’s rhythm is that it functions differently from day to night time. The skin regenerates itself over a period of 28 days. Every 28 days the cells of the uppermost layer of the skin is renewed. Understanding these rhythms enabled Dr. Hauschka to develop a regime that is best suited to the skin’s needs at and during these specific phases. 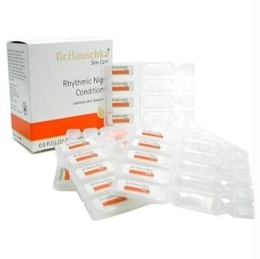 RHYTHMIC NIGHT CONDITIONER is a 28 day ampoule treatment for night application. It may also be used during the day depending on the skin’s needs. This treatment normalizes and supports the skin renewal cycle. RHYTHMIC CONDITIONER SENSITIVE has the same effect on the skin and also has a stabilizing action on the blood vessels. These treatments is best used 2 – 4 times per year. 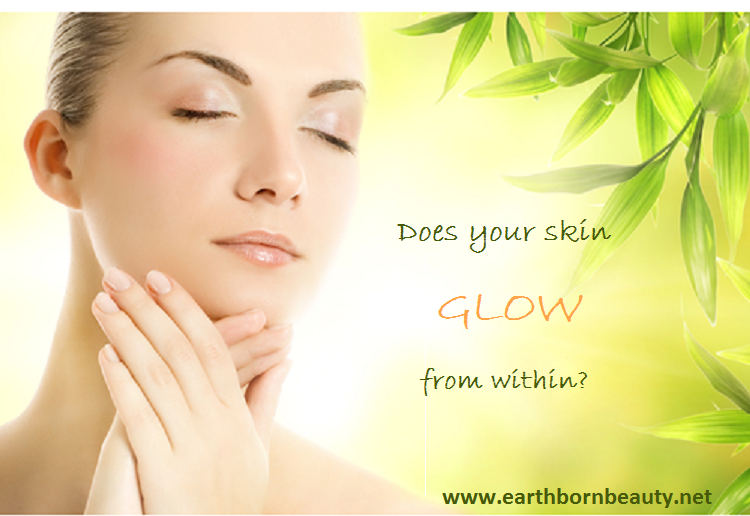 Earth Born Beauty proudly presents the ultimate luxury in organic skincare. 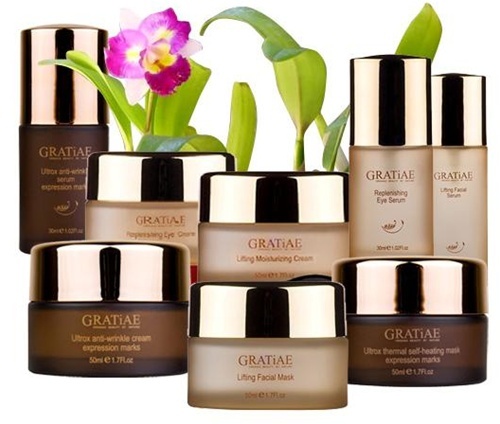 GRATiAE – Organic beauty by nature – is a skincare line with the sole purpose of anti-aging. It successfully combines GRATiAE’s thermal spring water with it’s exclusive minerals, flora native to the sea of Galilee area and it’s organic plants. GRATiAE delivers results of unparalleled luxury. We believe you should love your skin so we constantly seek out unique organic and natural ingredients from all over the world and we bring products bursting with effectiveness to enhance your natural beauty. 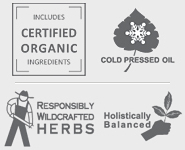 GRATiAE – Organic beauty by nature – does not contain any artificial colours or fragrances. We steer away from Dioxins, Petrochemicals, Mineral oils, Imidazolydinyl Urea, Petrolatum, Hexane, Phthalates, Sodium Laureth Sulfate, Sodium Lauryl Sulfate, Aluminium and animal derived ingredients. Our unique and natural organic formulations are developed by a Research and Development team who works with international scientific research laboratories to identify and extract oil and plant compounds for use in our products together with the GRATiAE Thermo mineral water to reach optimum benefit. Due to our successful involvement in preserving and protecting the environment, GRATiAE recieved in 2005 the “Guardian of the environment seal. GRATiAE. Created by Nature. Perfected by Science. OUR SHOP IS FINALLY OPEN! To celebrate the launch of our website, we’re offering a full 20% discount on all merchandise until the 14th of May 2011. Visit our Facebook page to retrieve the discount voucher code to be used during checkout. Just in time for Mother’s Day! Feel free to email me at ruh@earthbornbeauty.net at any time should you have any queries.